Well, this is the playground, that... that does not exist anymore. 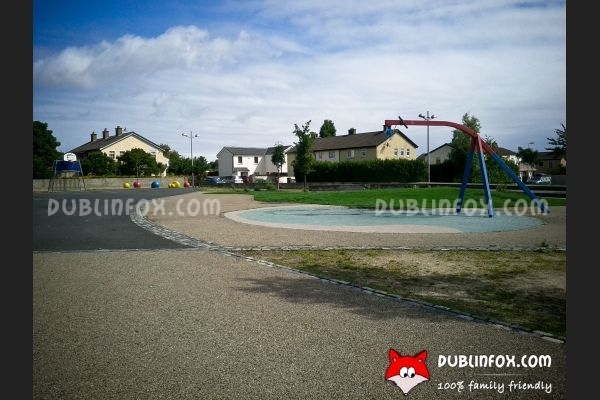 Although it is listed on the website of Dublin city council and there are some photos proving that once there were several playing euipment in Shangan Park, at present the place is empty, there is nothing that could be considered as a swing or a slide or whatever. 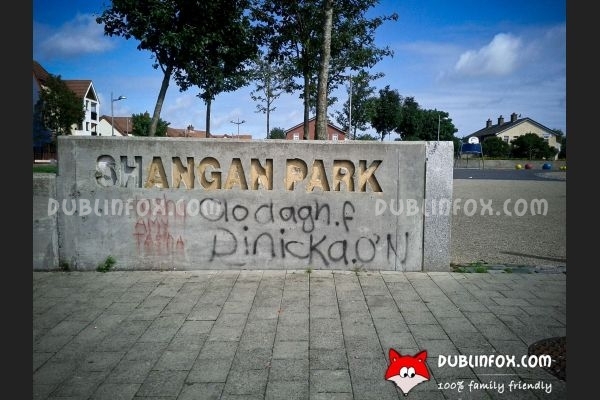 In the area, there are several other playgrounds, but I reckon for the kids of Ballymun, it would be great to get back this place as well.